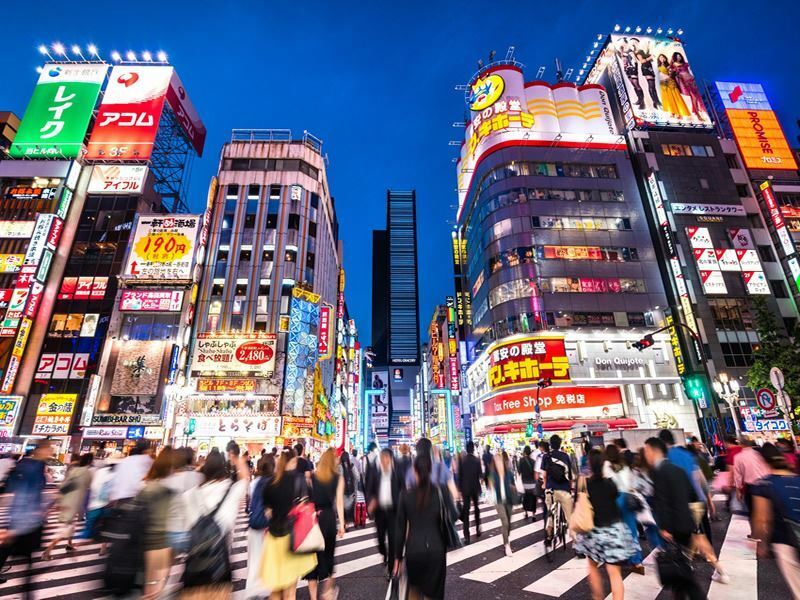 A nation that’s well ahead of the rest of the world in more than just time, Japan presents a head-spinning amount of attractions in its far-flung fishing islands, mountain-dappled countryside, sub-tropical beaches, and neon-painted cities. We say konnichiwa to the Land of the Rising Sun - a place that does an exceptional job of mixing the ancient (gods, customs, shrines, temples) with the futuristic (cuisine, visual arts, fashion, technology). What: There’s fewer more eye-poppingly brilliant places to see wild cherry blossoms glowing in the morning sun (spring) or the eye-scorching colours of falling leaves (autumn) than in Arashiyama - the nationally designated Historic Site and Place of Scenic Beauty at the base of Kyoto’s western mountains. As the city’s second most-popular sightseeing district after Southern Higashiyama, it rewards with a staggering amount of visual thrills, including the beautiful Oi River, the iconic Togetsukyo Bridge, and the ostentatious hilltop villa of Okochi-Sanso - former home of jidaigeki (period drama) movie actor Denjiro Okochi. Further must-dos include marvelling at the fairytale-like Gio-ji Temple, getting up-close with 170 Japanese macaque monkeys at Iwatayama Monkey Park, hopping aboard the old-fashioned Sagano Scenic Railway, and strolling along Saga-Toriimoto Preserved Street for its Meiji-era machiya (traditional wooden townhouses) that have been lovingly converted into vintage-style tea houses, restaurants, and boutique shops. The best bit: While Arashiyama’s temples and shrines spark interest, the star attraction here is Arashiyama Bamboo Grove. 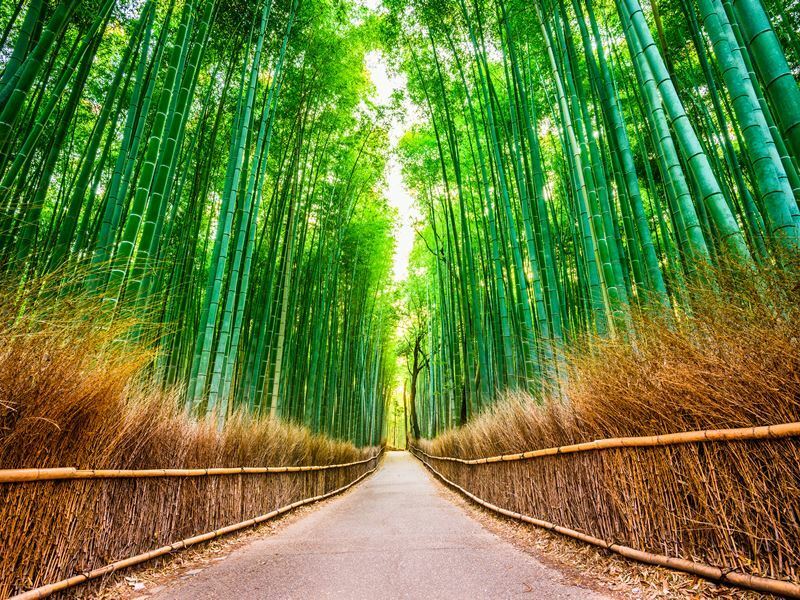 As one of the most photographed places in all of Japan, it draws the camera-clutching masses to its windy paths flanked by tall bamboo on either side that stretch out as far as the eye can see. The atmosphere is otherworldly - especially when the strong sunlight beams through these towering emerald stalks and casts soft shadows on the walkways. What: Japan has no shortage of spectacular castles, many of which were built in the mid 15th century during the chaotic Sengoku (Warring State) era - a period marked by bloody civil wars and political intrigue. In most cases, the multi-tiered architectural style of these wood and stone fortresses is well-defined: ergonomic wall layouts, graceful sweeping roofs, and ornamental decoration that’s often more about the fabulous than the functional. Some of most historic include the Kato Kiyomasa-designed Kumamoto Castle for its sweeping foundation, high-piled stone walls, 49 turrets, and 18 yagura-mon gates, Matsumoto Castle for its dramatic all-black exterior (its nickname is Crow Castle), and Nagoya Castle for its two golden shachihoko (mythical half-fish and half-tiger creatures) perched high up on the roof. Equally fascinating is Osaka Castle for its gold leaf decoration and complex network of moats, turrets, and walls surrounding a massive central tower (13 of its structures have been designated as Important Cultural Assets). 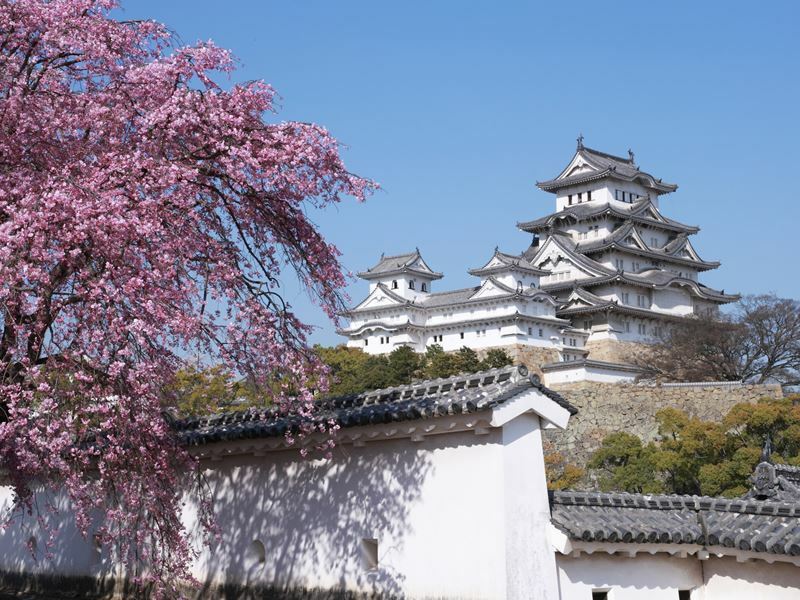 The best bit: Ranked as the finest surviving example of 17th century Japanese castle architecture by UNESCO, the aesthetically-stunning Himeji Castle (also known as White Heron Castle) is a national treasure and the pride of the Hyogo Prefecture. Covering an area of 576 acres, its gleaming white-plastered towers (said to resemble a snowy egret in flight) are surrounded by a combination of moats, baileys, and walled alleyways (83 buildings in all). What: You don’t have to be a techno-geek to know that virtually every craze of the past 40 years stems from Japan; from the sing-a-long karaoke booth invented by musician-turned-businessman Daisuke Inou in 1971, to the recent rise of the supercool Purikura Photo Sticker Booths - the sticker-photo combo that teenagers (mostly girls) just can’t get enough of. Best of all, this pop culture powerhouse has something for everyone: manga (Japanese comics), anime (Japanese animation), ultra-modern shops selling advanced gadgetry, and even a brand new cryptocurrency-themed girl band that sing about the online digital currency market whilst wearing French maid dresses and masks to represent Bitcoin, Ethereum, Ripple, and more. Equally inspiring for first-timers is the over-the-top cute, extreme, and avant-garde street fashion scene that varies from neighbourhood to neighbourhood in the major urban centres. The best bits: What may look like chaos in Tokyo’s red-light district of Kabukicho (blaring techno music, flashing neon lights, scantily-dressed warrior princesses fighting 10-foot-high transformer robots) is the famous Japanese cabaret show at Robot Restaurant - a Japanese cabaret show that’s garnered a reputation as being one of the wildest shows on earth since opening in 2012. There are only three performances a day, and pre-booking is essential. 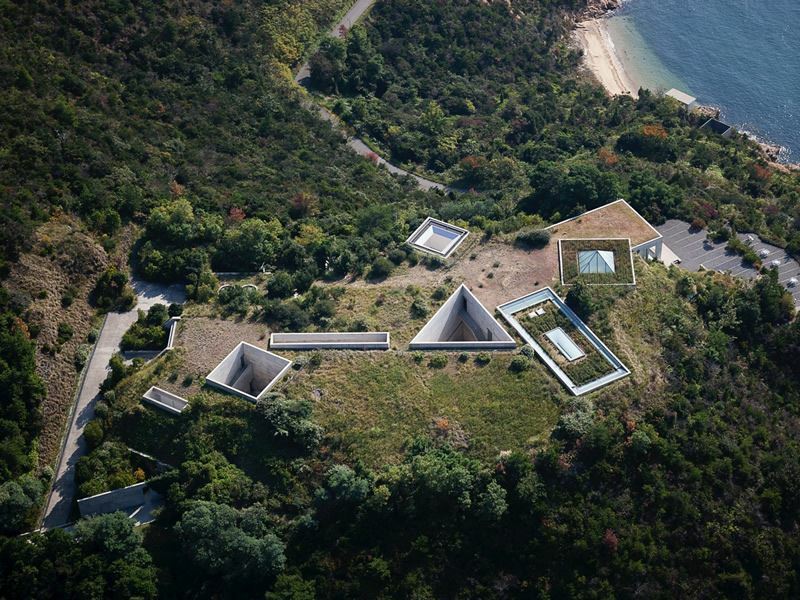 What: Contemporary art spaces don’t get more surreal, serene, and unconventional than Naoshima - one of the 3,000 tiny and remote islands that dot the Seto Inland Sea that separates Honshu, Shikoku, and Kyushu (three of Japan’s four main islands). Known as Art Island (it is sometimes referred to as Ando Island since most of the structures here were designed by Pritzker Prize-winning architect, Tadao Ando), this is one of the world’s most remarkable art and architecture hubs for its unique museums, visit-worthy galleries, inspiring projects, and amazing installations. Most standout is the Ando-designed Benesse House - a museum-hotel that showcases works by David Hockney, Frank Stella, Bruce Nauman, Hiroshi Sugimoto, Gerhard Richter, and many more. Also worth a peek is the much-lauded Art House Project - a collection of abandoned wooden houses and workshops that have been converted into venues, art installations, and charming cafés in the tiny fishing village of Honmura on Naoshima’s eastern edge. The best bit: Most make a beeline for Ando’s Chichu Art Museum - a collection of courtyards, galleries, and corridors purposely burrowed into a hill at the peak of the island (chichu means underground) to allow the natural light to alter the appearance of the art at different times of day. The museum is home to permanently installed works by three prominent artists: Claude Monet (five paintings from his Water Lilies series), Walter De Maria (his site-specific installation Time Timeless No Time), and James Turrell (Open Sky from his Skyspaces series). What: Given that Japan has 110 active volcanoes (47 of which are monitored around the clock), there’s an abundance of communal hot spring waters (onsens) in which you can enjoy a good soak by stripping off in front of a bunch of strangers. With restorative waters hotter than most Jacuzzis (the rule is that they must be a minimum of 25-degrees, some steamier) and containing at least one of a defined list of 19 elements, this quintessentially (and always naked) Japanese ritual has become a well-loved national pastime. There’s around 2,300 onsens across the country, with many located in areas of natural beauty - or attached to lovely ryokan (traditional inns). 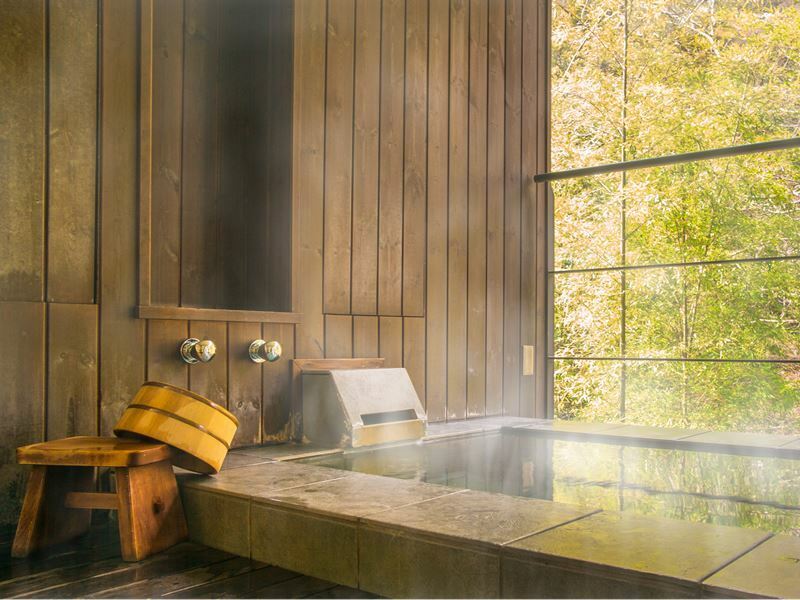 Some of the best places to get into your birthday suit include Takaragawa Onsen (Gunma, Central Honshu) for its slate-floored pools and ladies-only bath, Jinata Onsen (Shikine-jima, Izu-shoto) for its outstanding seashore location, and Oedo Onsen Monogatari (Tokyo) for its giant theme park-like selection of indoor and outdoor tubs. The best bit: Set on the Sea of Japan coast in northern Kansai, the onsen-heavy resort town of Kinosaki has been luring bathers since the 8th century when hot springs were discovered in the area. Bathers sporting the required attire (traditional yukata robes and wooden geta sandals) can work their way around the town’s seven blissfully hot public baths: Ichi no yu, Sato no yu, Gosho no yu, Mandara yu, Jizo yu, Kouno yu, and Yanagi yu. What: You don’t have to be spiritually-minded to be moved by Japan’s Buddhist temples and Shinto shrines, all of which feature in nearly every single village as well as in the big cities (there’s 2,000-plus sacred structures in Kyoto alone, many of which are UNESCO World Heritage Sites and national treasures). Perhaps one of the most impressive is Fushimi Inari-Taisha - a colossal complex of shrines and vermilion torii gates spread across an entire mountain in southern Kyoto. Believed to have been built in 711AD, it’s the head of all the Inari shrines dedicated to the Shinto god of rice, sake, fertility, rice, agriculture, business, and prosperity. Other must-see spots that represent the country’s alluring heritage include Tokyo’s Sensoji Temple (the city’s oldest temple), Kamakura’s Kotokuin Temple (home to the 13th century Great Buddha, Japan's second-largest bronze image), and Nikko’s Toshogu Shrine (the nation’s most opulent shine dedicated to Tokugawa Ieyasu, the founder of the last shogunate in Japan). 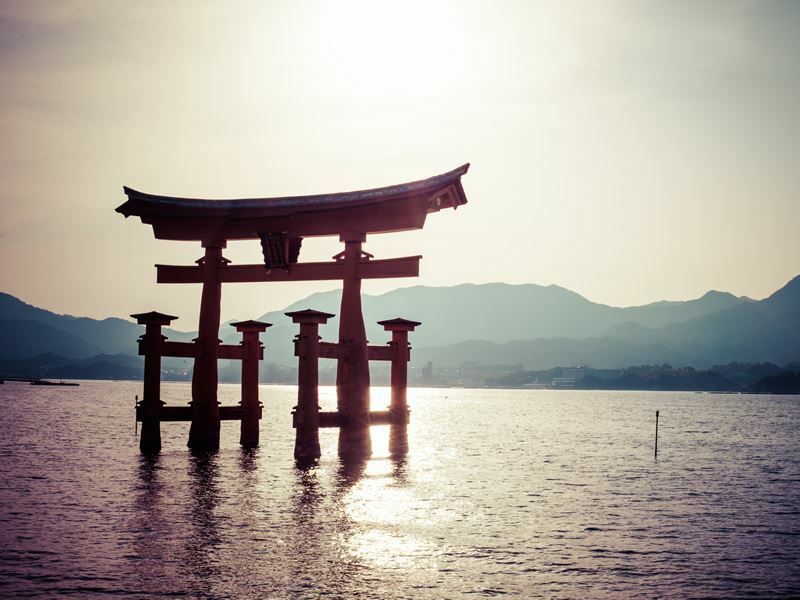 The best bit: Dating back as far as the late 6th century, Itsukushima-jinja gives the UNESCO-listed island of Miyajima on the Seto Inland Sea its name of Shrine Island (or sometimes, Island of the Gods). As one of Japan’s most-visited places, the star attraction is the unique over-water structure with vermilion torii (shrine gates) that famously looks like it’s “floating” at high tide (the best views of the shrine complex are at sunset or when it is illuminated after dark). What: Designed for meditation, Japanese gardens are a form of art that have been drawing heavily on the landscape’s topographical, architecture, psychological, climatic, religious, and philosophical elements for centuries. Some of the most cherished horticultural wonders that have all-season appeal include the feudal-era Koraku-en (garden of pleasure) next to Okayama Castle for its beautiful grove and magical water features, and Kairaku-en in (a garden to enjoy with people) in Mito for its three thousand plum trees that bloom in early spring. Equally treasured is Kenroku-en in Kanazawa which was named for its six attributes: spaciousness, tranquillity, artifice, antiquity, water courses, and magnificent views. Here you’ll find lakes, waterfalls, and rivulets galore as well as the two-legged Kotoji-toro lantern, the Hisago-ike Pond, and the elaborate Yugao-tei Cottage. It snows heavily in winter in this region, and the rope device called yuki-tsuri (snow support) that keeps the branches of trees from breaking creates beautiful geometric patterns. 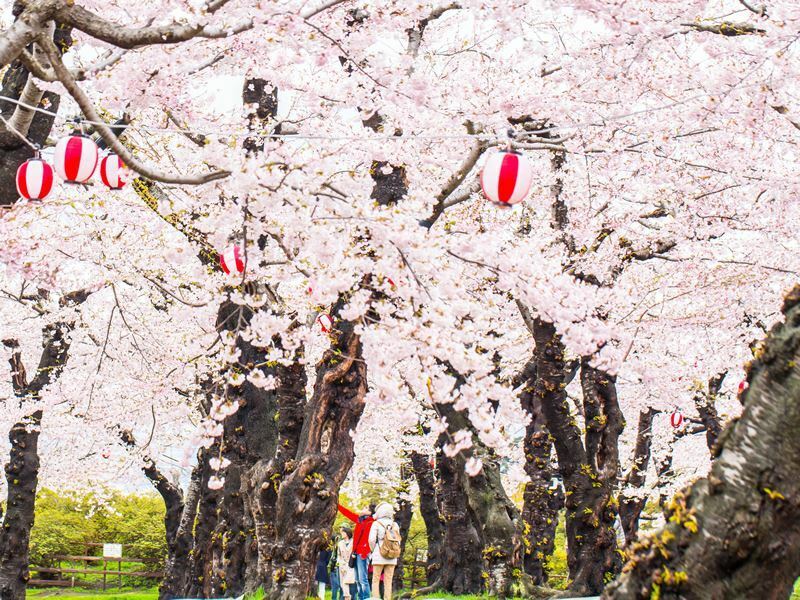 The best bit: Spring is easily one of the best times to visit Japan in order to enjoy the incredible display of pink cherry trees awash with perfect blossoms known as sakura. So deep-rooted is the country’s love of these blooms sweeping from the south to the north of the archipelago there’s even a Cherry Blossom Forecast - a televised weather service that gives petal-by-petal predictions for the seasonal spectacle known as hanami (cherry blossom viewing). What: Located southwest of Tokyo, between Suruga and Sagami bays, Fuji-Hakone-Izu National Park is a 1,200-sqaure-kilometre wilderness that protects the 12,389-feet-high Mount Fiji as well as the Hakone, the Izu Peninsula, the Izu Islands, and the Five Lakes (Motosu, Shoji, Sai, Kamaguchi, and Yamanaka). 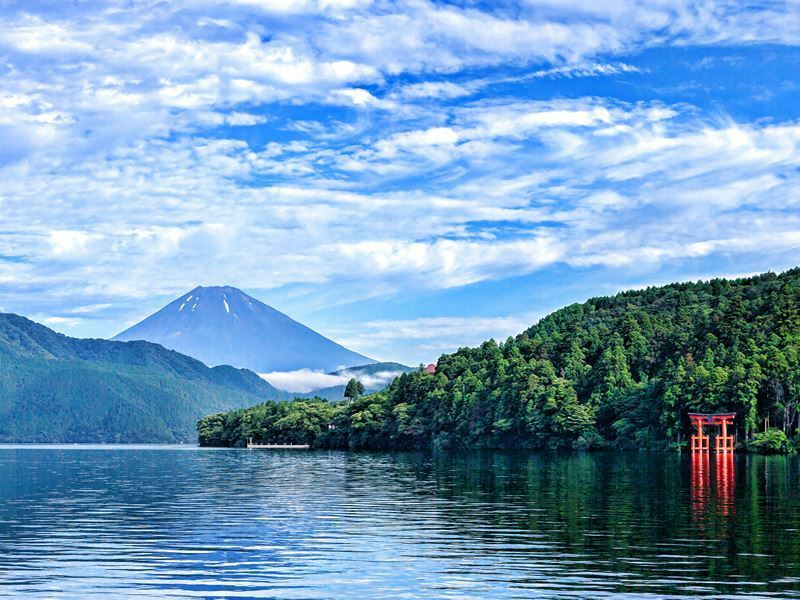 Although the Shinkansen (bullet train) provides an exhilarating overview of the region in rapid motion, it’s worth a detour here to hit the beaches of the Izu Peninsula, explore the volcanic landscapes of Hakone, and hike in the Aokigahara-jukai Forest that was formed during the Great Jogan Eruption around 1,200 years ago. The park is also home to many waterfalls, including Shiraito-no-taki Falls - a 150-metre-wide cascade that flows off the edge of a 20-metre-high cliff in thin white streams that resemble hanging threads of silk. Ranked among the nation’s most exquisite waterfalls, it is both a UNESCO World Heritage Site (along with Mount Fuji) and a long-time protected Japanese Natural Monument. 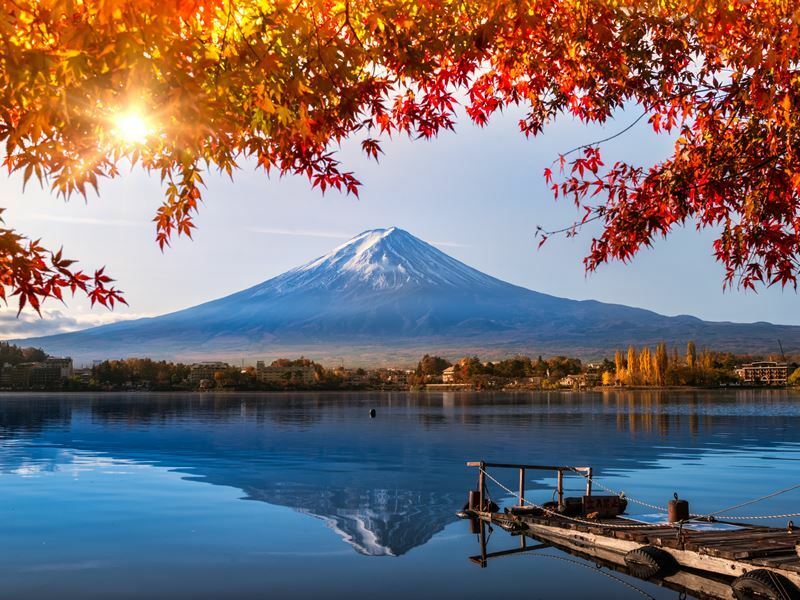 The best bit: Japan’s highest mountain, Mount Fuji, has been a source of inspiration for artists, poets, and pilgrims for centuries. If you don’t fancy trekking this icon (the climbing season runs from early-July to mid-September), the best way to see it is to travel by Shinkansen (bullet train) from Tokyo to Kyoto or Osaka. Be sure to grab a seat on the right-hand side of the train for the clearest view (it can be seen just after an hour after departing Tokyo and stays in view for 10 minutes). What: Like its culture, Japan’s museum scene satisfies every curiosity. For history buffs, one of the most thought-provoking offerings is Hiroshima’s Peace Memorial Park and Museum - the moving site dedicated to victims of the atomic bombing of August 6, 1945. Also visit-worthy is Tokyo National Museum for its 110,000-plus Japanese artworks and antiquities in five themed buildings, Edo-Tokyo Museum for its small-scale models and full-size replicas of in the capital city through the ages, and Hakone Open-Air Museum for its 100 sculptures by contemporary artists (Picasso, Miro, Rodin). For gadget and gimmick fans, must-sees include The National Museum of Emerging Science and Innovation for its cutting-edge exhibits, Sony ExploraScience Museum for its kid-friendly interactive games and movies, and Toshiba Science Museum for its forward-thinking displays that focus on the future of cities, renewable energy, housing, healthcare, transportation, and so much more. 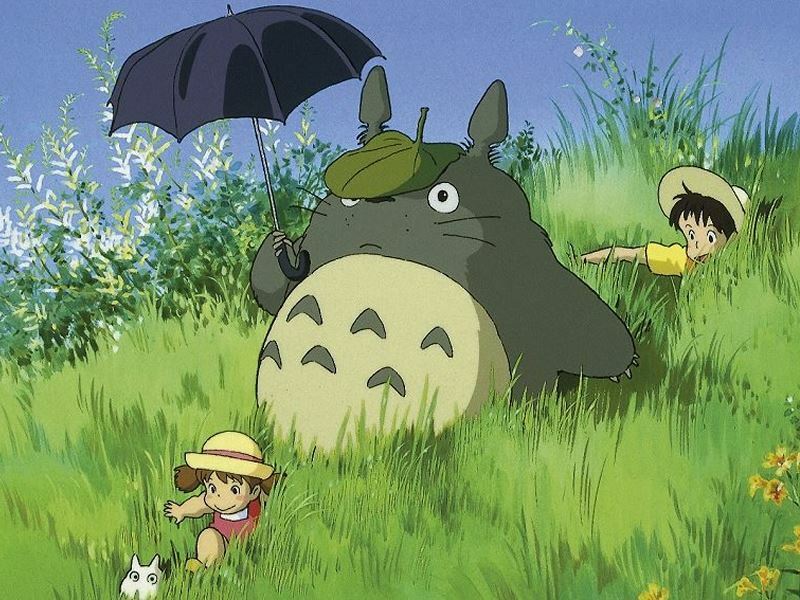 The best bit: Located in Tokyo’s western suburbs, the Ghibli Museum is the whimsical, fantastical, and fascinating museum dedicated to the famous Studio Ghibli - one of the world's most revered animation houses founded by Japanese film director Miyazaki Hayao (it’s often known as Japan’s Disney). Access is strictly limited - only 200 daily admissions are allocated to overseas visitors. Tickets must be purchased well in advance as they sell out very quickly. What: A journey around Japan reveals culinary highlights unlike anywhere else. Often ranked as the best country in the world for food lovers, it presents a national obsession with eating; whether it’s from a street vendor or a fine dining establishments (Tokyo alone has 226 Michelin-starred restaurants - more than any other city in the world). 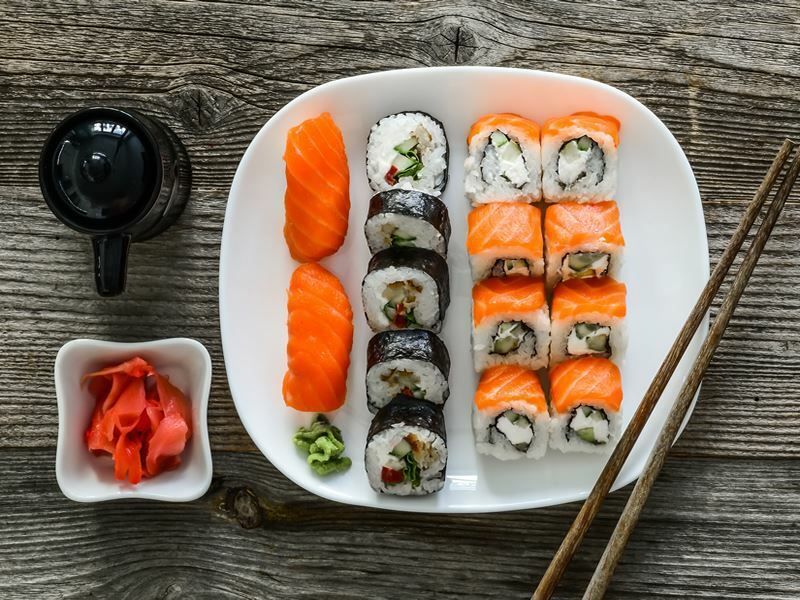 Arrive here on an empty stomach and try some of the nation’s most popular dishes, including sushi (the word refers to any dish made with Japanese rice that has been seasoned with rice vinegar), sashimi, udon noodles, tofu, tempura, yakitori, natto, and tamagoyaki. Other must-try delights include ramen (a bowl of wheat noodles served in a soy sauce or miso soup), kare raisu (rice curry with onions, carrots, sweet potato, and chicken, pork, or beef), tonkatsu (slices of pork dipped in a flour and beaten egg batter and coated in breadcrumbs), and karaage (fried chicken seasoned with soy sauce, salt, and spices). The best bit: No food pilgrimage is complete without visiting Osaka and Tokyo, both of which are the top of their game on the dining front. The former is a Michelin-star destination that invented sushi (it is known as Edomae-zushi here, after Edo, the former name for Tokyo) while the latter is the nation’s second-largest city famed for takoyaki (octopus balls) and okonomiyaki (a savoury batter pancake with shredded cabbage, meat, squid, shredded vegetables, and usually garnished with condiments such as mayo and sweet brown sauce).